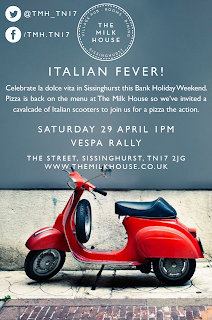 The Milk House in Sissinghurst are set to go all Italian with their Vespa Really this Saturday (29th April from 1pm). 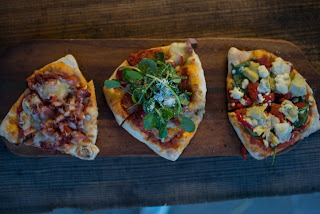 The team are all fired up about the hotly-anticipated Spring reopening of their wood-fired pizza oven so they’ve invited a cavalcade of Italian scooters to join them for a pizza. 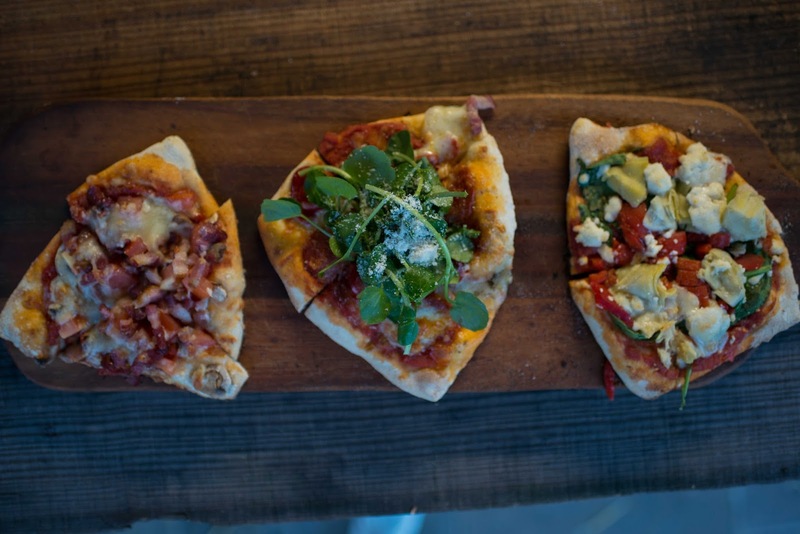 There’s no need to book in the bar or on the terrace. 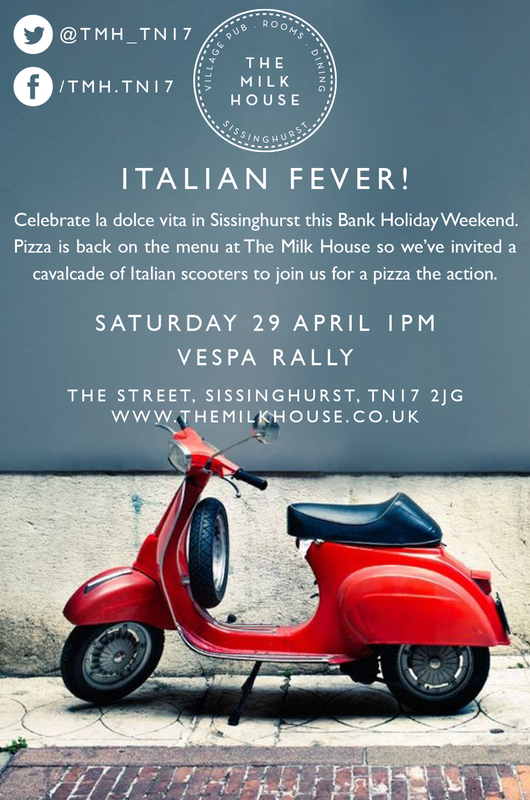 Just turn up and admire Kent Vespa Club’s finest pieces of motor while enjoying a pint of Peroni, a glass of Pinot Grigio and – with any luck – some perfect Mediterranean weather. Last year The Milk House laid on a similar event with the Kent Ferrari Owners Club who put on a spectacular display. Then on Monday 1 May, the pub will be reverting to its Kentish roots, thanks to the Weald of Kent Morris menu who will be leading everyone into dance at 1pm. 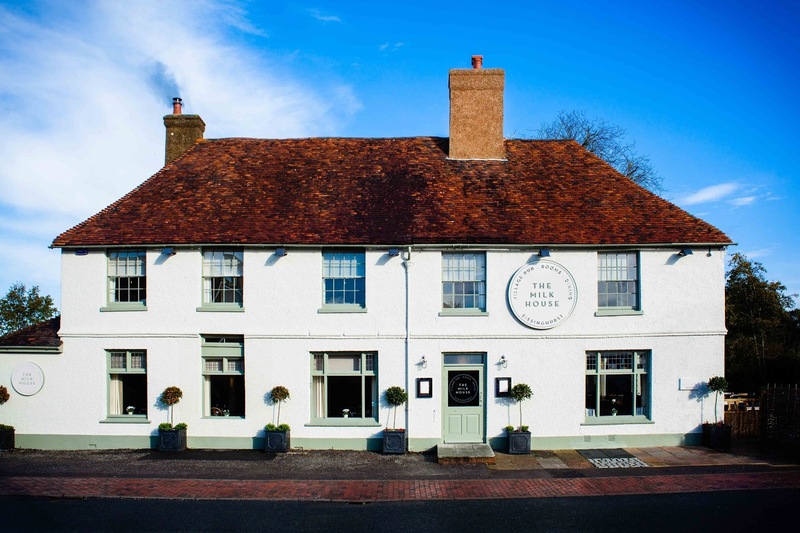 Get your handkerchiefs ready so you don’t miss out on the May Day merriment!